If you are new to the concept of Windows 8.1, 10, then you will probably be expecting the Modern interface to behave just like the desktop one. So, naturally, you want your apps to minimize and close really easy. While that wasn’t too hard with the initial release of Windows 8, it has become even easier now. 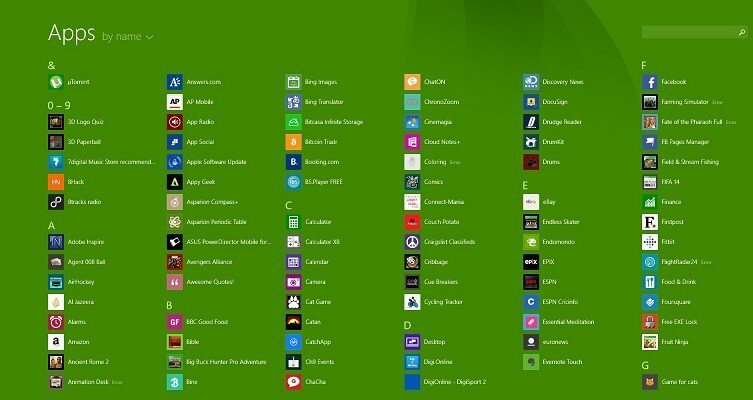 In order to easily minimize and close Modern apps from the Windows Store (some users prefer to still refer to them as Metro apps), I’m afraid that the best solution would be to get the latest Windows 8.1 Update. Why I’m saying I’m afraid? Because if you haven’t already installed it, you might get some naughty errors during the installation process, but I hope it won’t be the case with you. The best solution to easily, hassle-free close and minimize Windows 8.1, 10 apps is this one. So, if you have managed to successful update to the Windows 8.1 Update, then closing and minimizing apps on the Modern interface is pretty much self explanatory and doesn’t need a step-by-step guide per se. Just go ahead and open any app that you want. Actually, this doesn’t work only with apps that you download or are built-in inside Windows 8, but also for various settings. So, whenever you will open something in the Modern interface, be it an app, program or setting, just by hovering your mouse or moving your finger to the top of it, you will be able to see “close” and “minimize” buttons. Just like in my screenshot from below. Besides the minimize and close buttons, you can also split to left, right, maximize and close, as well. These are the commands that are available on the top left of the item that you open on the Modern interface. If you have minimized them, you will seem them on the good old taskbar, where you can choose to open them, pin them to the taskbar or close. While you have below a great guide to follow in order to minimize and close apps on Windows 10, some users encounter serious problems with Minimize, Maximize or Close buttons. If you experience problems with that, just follow the solutions from our dedicated guide on how to fix minimize/maximize/close button won’t work. Let us know in the comment section if this guide helped you and we will create more useful articles for Windows community. Editor’s Note: This post was originally published in April 2014 and has been since revamped and updated for freshness, accuracy, and comprehensiveness.